I love books. 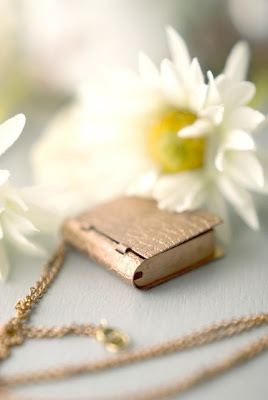 This necklace by MothHouse is perfect for the bibliophile in your life. I love how the locket opens into a fairly large space. 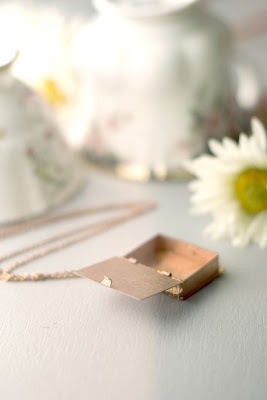 It's like a tiny shadow box, waiting for you to fill it with love.